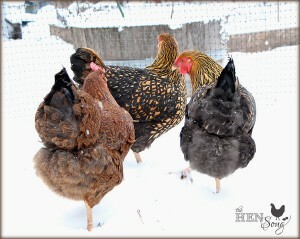 Life with chickens in Alaska is fascinating, entertaining, and rewarding. Being connected to one’s food source is an amazing feeling, and a most beautiful journey. I have learned so much in just a short period of time, and the learning never stops… Life and learning go hand in hand. This site is a compilation of the trials and tribulations of raising chickens in Alaska. You will find noteworthy tidbits of learning–what has worked, what has not–throughout the site. Welcome, and I hope you enjoy your stay. 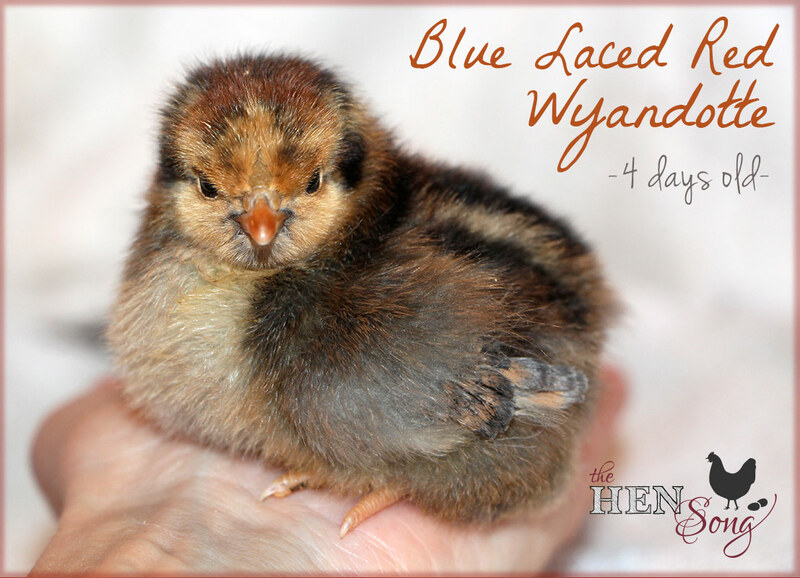 My insight and observations come from the breeds I keep: Golden Laced, Silver Laced, and Blue Laced Red Wyandottes, as well as Partridge and Barred Plymouth Rocks, along with one Welsummer. These breeds are cold hardy and dual purpose–though their only purpose here is for eggs (along with some companionship and comic relief). I find their antics most amusing. Did you know that each gal not only has her own personality, but also makes her own set of noises? Some are very friendly and curious. Some like to go where they know they’re not supposed to while free ranging (I’m looking at you, Ms. Elsa!) And some like to be bossy towards others. Ah, chicken life! Like I said, most amusing. With an ample supply of farm fresh eggs, I enjoy experimenting with egg-laden recipes. Pastured eggs are a delight to behold, and even better to taste! 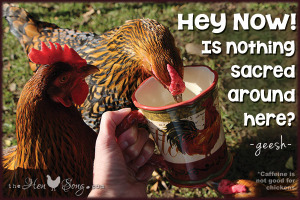 Knowing what went in to my eggs–that they are organic, non-GMO, no soy, truly pastured/free range, and that my girls are happy and healthy–makes it all feel so right. Tune in to my blog for the latest on what’s happening here on the farmette. The chickens are always up to something entertaining–be it chicken races, a game of “that’s MY worm!” or who can sing the loudest. Oh, and keep an eye on your coffee… Yup, nothing is sacred around here!